the teacher wife: Classroom Management Made Easy! My secret is this green behavior book. This specific behavior book has seriously worked wonders in my classroom. It has worked on even my most challenging students and it helped them feel successful in my classroom! I love this behavior book! Note: I don't use the behavior book with all of my students... I only use it with my students who need extra support to help them have appropriate classroom behavior. 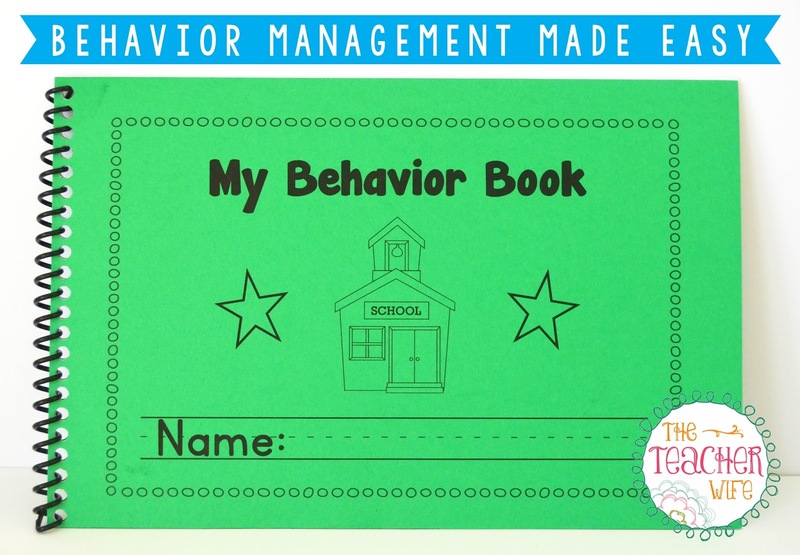 This book book has a section for students and adults, so at the end of the day you can sit down with your student, discuss their behavior, and you both can determine how their behavior was. This helps your students become more aware and accountable. I know that all students don't have the same needs, so I've included different pages for you to choose from (like the one above). I've also made this part of the packet editable, so you can customize it to fit the needs of your students. You can edit it in PowerPoint. 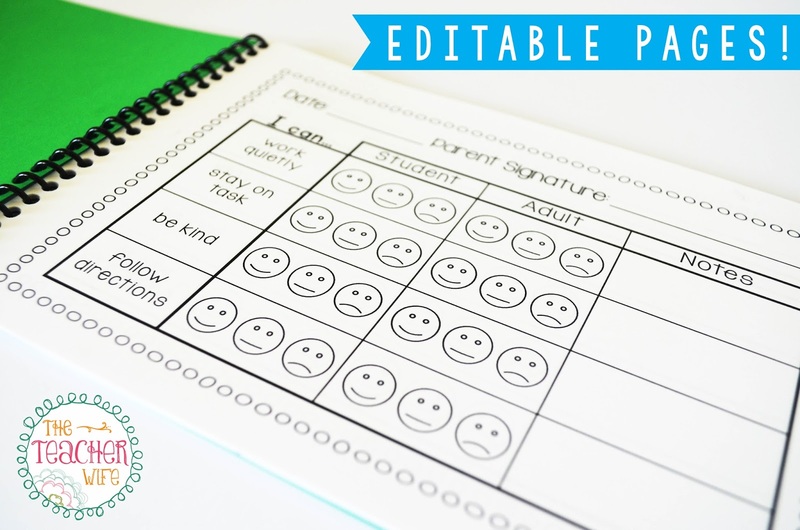 This packet also includes an activity to help you teach your students about your expectations for their behavior in your classroom. The poster (pictured above) makes a super cute chart that you can leave up all year long! It will serve as a great reminder for your students. Your students also get to make their own copy after learning about your classroom expectations. 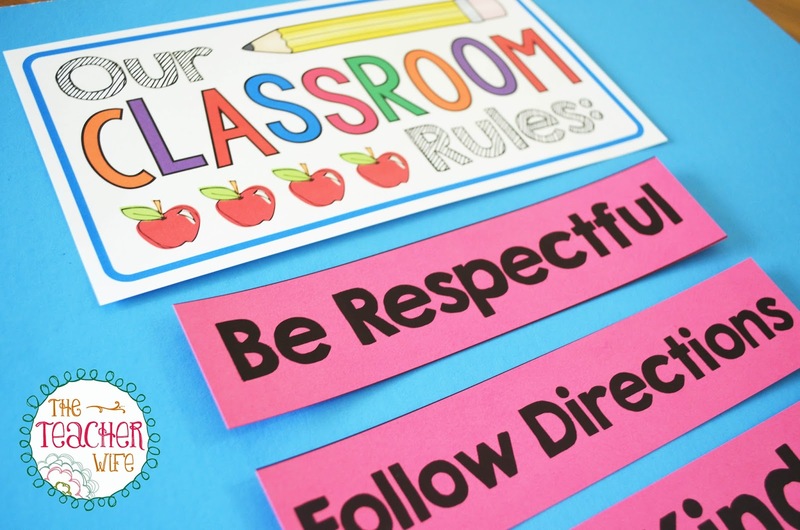 Classroom rules are a MUST for any classroom and it is so important to have them posted in your classroom.... So why not make them super cute! This activity also includes a student copy (not pictured). This behavior packet also includes a behavior contract, documentation form, reward tickets, reward ideas, reward notes and sticker charts. Basically, it has everything you need to start the year off right with excellent classroom management. 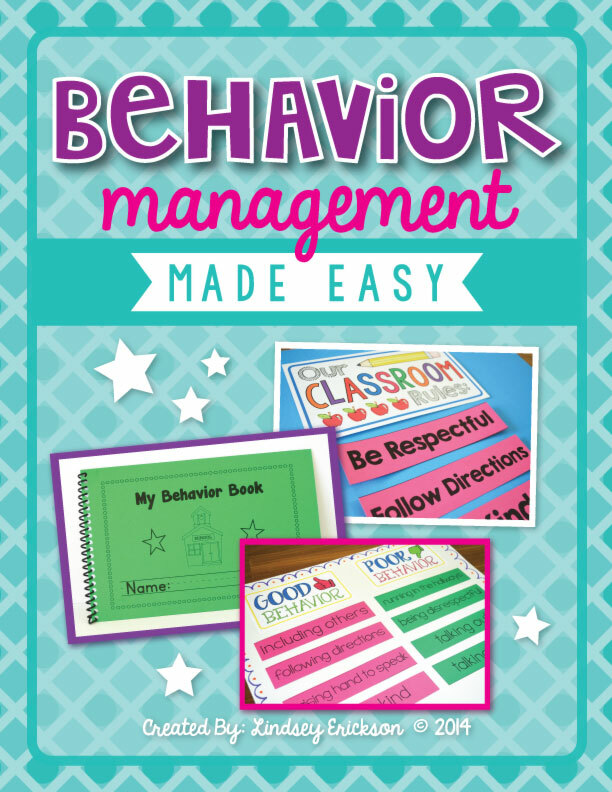 This packet, Behavior Management Made Easy can be found in my TpT shop!